Create a new subscription pack. We created a created subscription pack named Pack here. If you want to learn more about how to create a subscription pack you can from here. 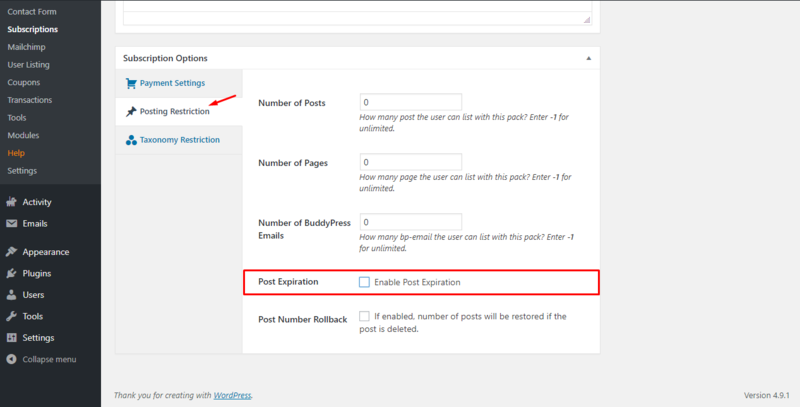 Then click on the subscription pack and scroll down to see the Enable Post Expiration option. If you enable the checkbox you will see more option on what you want to do for expiration options. Post Expiration Time: Select the number and the format of time for expiration. 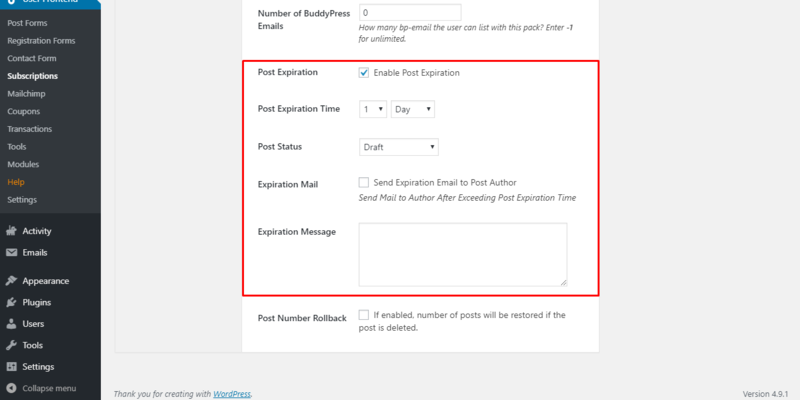 Expiration Mail: Option to enable for a mail to send to the user who created the form. Expiration Message: Write the message you want to show after post-expiration.